Here's the latest on San Francisco's restaurant scene. 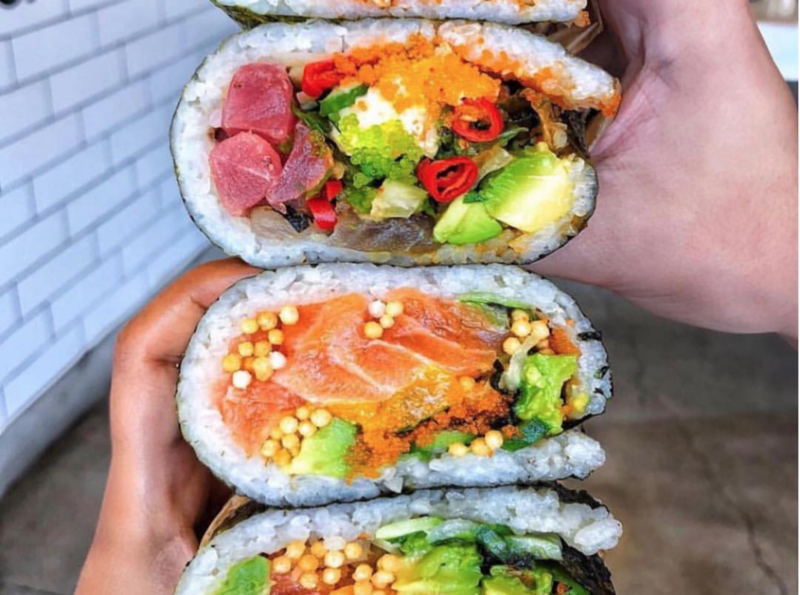 In this edition, a new poke spot launches in the Marina, a Japanese cafe plots its opening in China Basin, a brand-new Greek street food chain is heading to Fisherman's Wharf, and a SoMa cafe's second location expands its hours and menu. 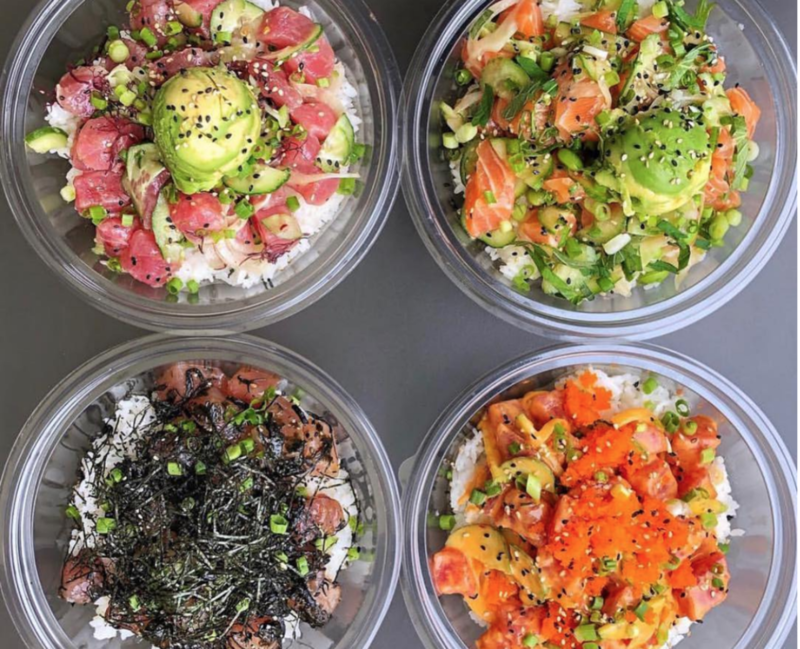 Poke on Pierce is now officially open in the Marina. 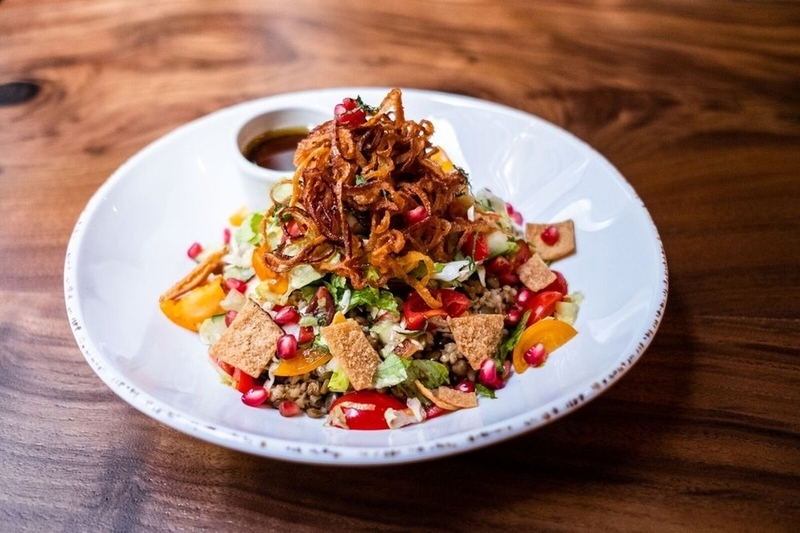 The eatery, which has been in the works since earlier this summer, comes from Dana Sugarman, who has worked in the restaurant business on-and-off since she was 15. The menu is similar to other poke outposts, with customizable bowls and burrito wraps and and a selection of signature house-made variations. Sugarman said she chose the Marina/Cow Hollow corridor to open up her shop because she saw a "need for a quick-serve, healthy dining option" in the area. So far, "we are encouraged by the warm welcome from the community in the Marina, and feel like we are hitting our stride," she said. Poke on Pierce is open Monday-Thursday 11:30 a.m.-8:30 p.m. and Saturday 11:30 a.m.-9 p.m. It's closed Fridays and Sundays. 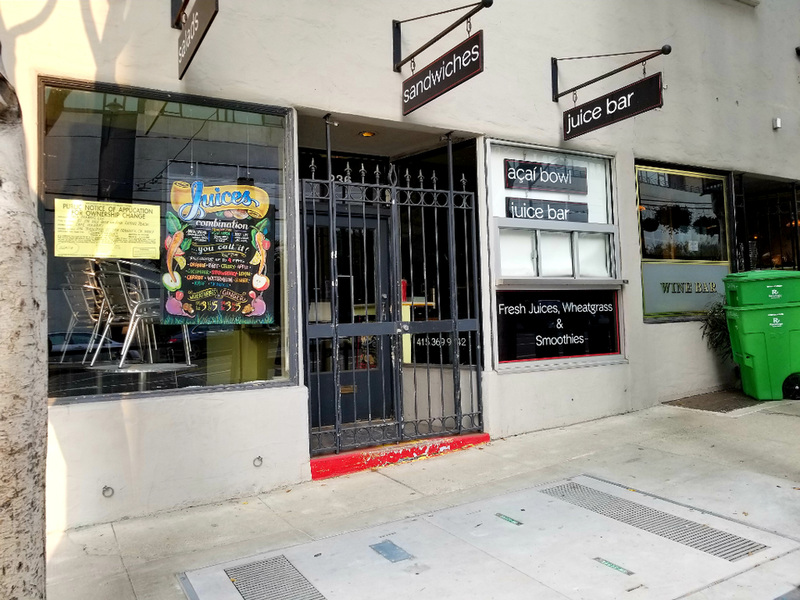 Half a block from the Caltrain station at Fourth and Townsend streets, veteran Hoodline tipster Al M. reports that a new cafe called Cafe Okawari will be taking over the former home of Durso Cafe & Juice Bar. A notice has been posted to the business' window indicating the change, but so far, no work has commenced on the space, said Al. A search of public records reveals that the new spot comes from chef Trevor Molyneux, who has previous run a sushi pop-up called Sushi Mudo in Russian Hill with business partner Tim Luym. It looks like the new cafe will specialize in Japanese fare as well. We've reached out to Molyneux to learn more, and will provide updates when we hear back. 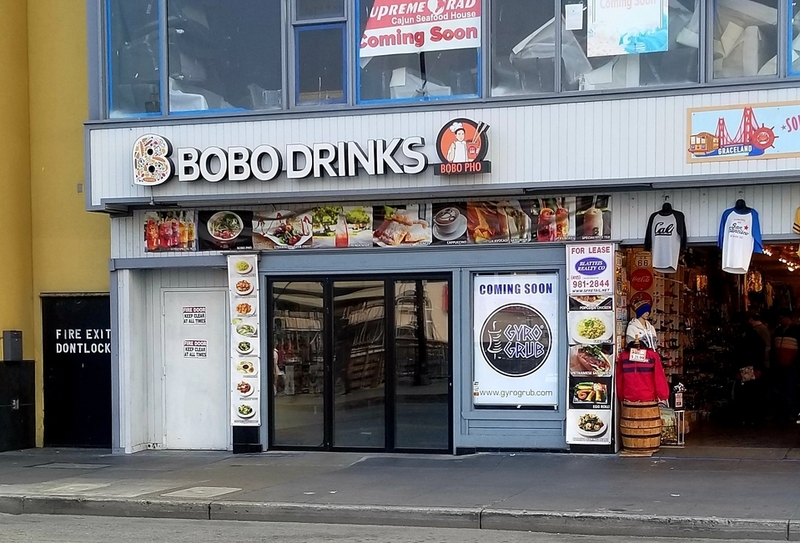 Next, Al M. reports from Fisherman's Wharf that there's a taker for the space formerly occupied by Bobo Drinks & Pho, which closed in February. Gyro Grub, a new Greek chain based in Los Angeles, is plotting a San Francisco expansion to Bobo's former space, and has locations set to open in the FiDi and Berkeley as well. The restaurant comes from investment firmDGN Capital Group LLC., which is also working to open another restaurant concept, called Mythos Taverna. So far, it doesn't appear that any of the locations have opened, as the business' website is still under construction. Finally, SOMA Eats' new second location near the Rincon Center has expanded its hours and menu, according to a representative. The cafe is now open for breakfast and lunch weekdays from 7 a.m.-2 p.m., with happy hour between 4 and 6 p.m., and dinner served 5-9 p.m.